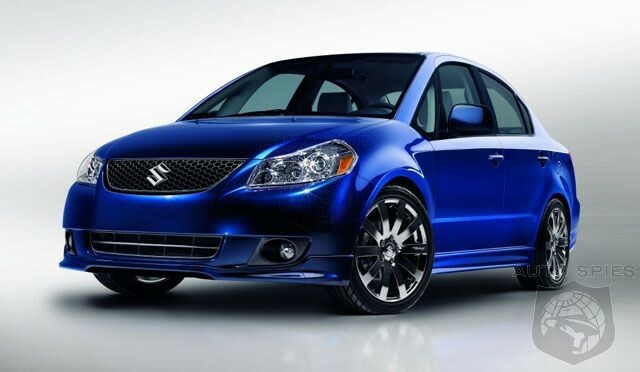 After an overwhelming response to the company’s April announcement that it will add standard navigation to the 2009 SX4 Sport and SX4 Crossover, American Suzuki Motor Corp.
today revealed that it will produce a special edition version of the 2008 SX4 featuring standard navigation. Available in July, the Road TRIP edition of the 2008 SX4 Sport and front-wheel-drive version of the five-door SX4 Crossover marks the first time a new vehicle under $16,000 will offer navigation as standard equipment. Referred to as the Suzuki TRIP (Travel, Real-time traffic, Information and Play), the SX4’s navigation system is the result of a collaboration with Garmin and is available with a number of MSN Direct-enabled features, including real-time traffic, weather forecasts, news reports, stock quotes, movie times, local entertainment listings and a gas station finder capable of locating the lowest priced fuel in town. The navigation system’s flip-up 4.3-inch touch screen display is fully integrated into the vehicle’s audio system, which results in all navigation commands being channeled through the SX4’s audio system. The system also includes an MP3 player, Navteq mapping software and preloaded street maps that feature millions of points-of-interest, such as hotels, restaurants, gasoline stations, ATMs and more than 500 Suzuki dealership locations throughout the country. “As the only vehicle under $16,000 to offer standard navigation, the 2009 SX4 has created quite a buzz in the industry and with consumers,” said Mark Harano, president of American Suzuki Automotive Operations. For drivers hitting the road this summer, a Travel Guide™ expansion module is also available that provides Fodor reviews and recommendations for restaurants, hotels, shopping, nightlife, sporting events and other tourist attractions. The Road TRIP edition of the 2008 SX4 is scheduled to arrive in dealer showrooms in July and, including destination and handling charges, will be available for purchase starting at $15,999 for the SX4 Sport and front-wheel-drive version of the SX4 Crossover.